PET Screen Protector Film Screen Film for Apple Samsung and many more. Samsung Galaxy S2. Samsung Galaxy S2 4G. Samsung Galaxy S4. Samsung Galaxy S3. Samsung Galaxy S3 4G. Samsung Galaxy S3 Mini. LG Nexus 4. LG Optimus. Ideal for tradesman or people who doesn't like keeping phones in their pocket or bags. It will be muchappreciated if you can give us a backup colour just in case your first choice isn't unavailable ortemporary runs out. Ideal for tradesman or people who doesn't like keeping phones in their pocket or bags. It will be muchappreciated if you can give us a backup colour just in case your first choice isn't unavailable/temporary rans out. 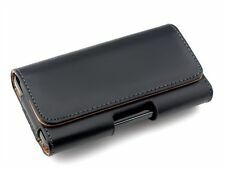 StilGut cases are the perfect combination of functionality, elegance and classic design. The Added Value of StilGut Products Handcrafted genuine leather case for HTC One M8 & HTC One M8s. Fits your HTC One M8 & M8s perfectly and elegantly.